Now a days, development of mobile apps has become a real necessity for all types of businesses. 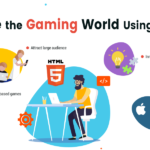 We being a mobile app development company have been successful in serving several industries, big and small with our customized services of mobile app development. Various brands, start-ups, individuals and organizations have availed our services to create an everlasting impression in the minds of their existing and potential customers. 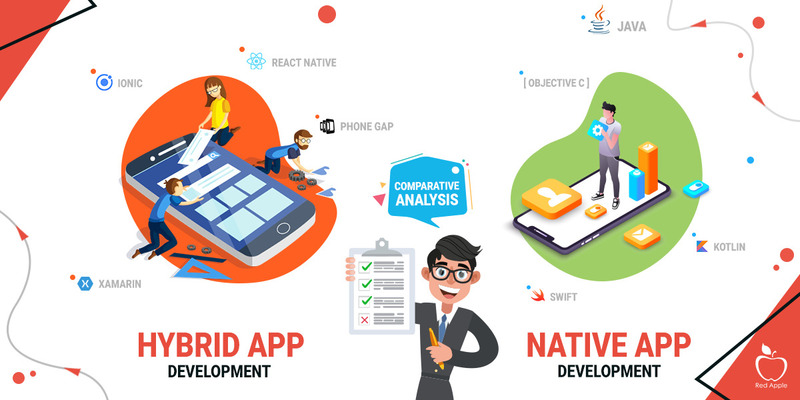 In this blog post we will be doing a comparative analysis between the two main categories of mobile app development-Native and Hybrid. 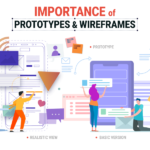 Hope it will help you understand the prospects of these two so that you can decide which one to choose depending upon the nature and scope of your business. 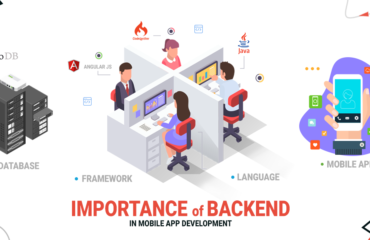 React Native and Ionic have facilitated the developers to create mobile apps easily as it does not require learning of complex Native programming language such as Java for Android and Swift for iOS. 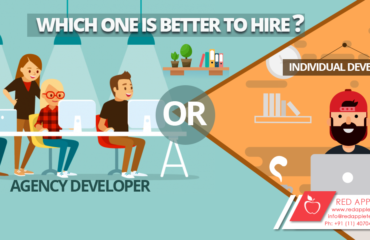 Although Native and Hybrid apps have their own unique features, choosing any one between the two totally depends on the developers’ convenience and requirement. It has been observed that Hybrid apps have a competitive advantage over Native ones as the former is compatible on both iOS and Android. On the other hand, the Native apps need to be created individually for iOS and Android because of their compatibility issues with different operating system. Efficiency: Using Hybrid apps, an organization can save between 75 to 80 percent in porting costs as compared to Native. Speed: Hybrid app development process helps in creating apps faster for multiple platforms using a single codebase which is not possible for Native. 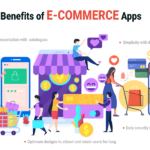 Omnichannel: Unlike Native apps, Hybrid applications can run anywhere-in the mobile browser as a mobile app and on desktop as Progressive Web Apps. Also Read: Where to Develop Your App – Native or Hybrid Platform? Native applications are created for a particular mobile operating system-Android or iOS. Developers of Native apps require a thorough knowledge of Swift or Java to create purposeful apps for both platforms. Unlike the Hybrid apps, Native applications enable to access the in-built capabilities of a device such as GPS, location, camera etc. 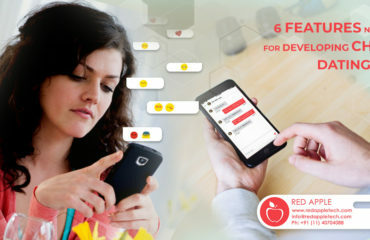 Feel and look of Native apps: Native apps have trendy looks which attract users and allow them to get connected quickly and easily to navigate. 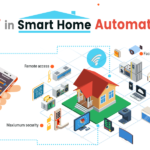 Rich Native library: Use of native SDKs facilitate the developers in accessing the updated and the latest features which are built for those platforms without involving the complexities of dealing with the native plug-ins. This is very vital in offering rich contextual user experience like touch ID for Android and facial recognition for iOS. The code for developing Hybrid apps is written once and then it is being applied across platforms as per the requirement. It hardly requires app updates as many features are developed to support its multiple platform compatibility. Efficient scaling: Because of the cross-platform abilities, Hybrid apps can be used for different operating systems. It enables the developers to reuse the code without incorporating any changes in the applications. Write once, run anywhere: As the Hybrid framework provides platform continuity, the feel and look of your apps are automatically adapted in accordance with all platforms. 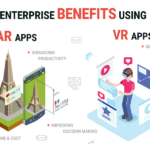 Conclusion: As a mobile app development company you have to identify the beneficial attributes of both Hybrid and Native apps so that your business objectives can be met. Hybrid apps have certain advantages over Native and vice versa. Based on your time period and budget you can focus on developing mobile apps using either Hybrid and Native approaches.